NHL News : Tomas Plekanec reached an impressive milestone against the Sens! 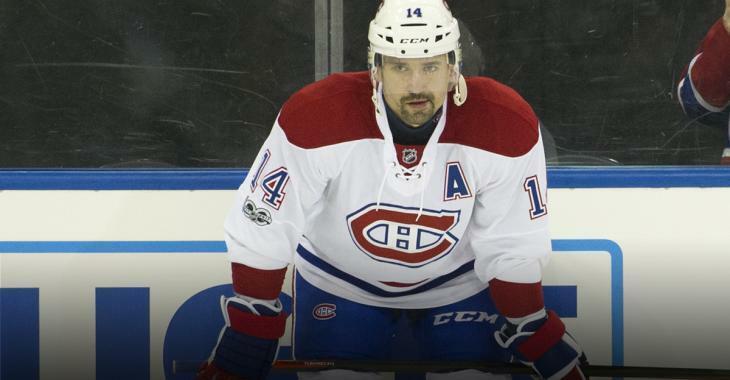 Tomas Plekanec reached an impressive milestone against the Sens! Could this have been one of his last game in a Habs jersey? Montreal Canadiens forward Tomas Plekanec scored one goal and added one assist against the Ottawa Senators on Sunday afternoon, helping his team to win by a score of 4-1. Plekanec registered an assist on Artturi Lehkonen second goal of the game, which was his 600th point in the NHL. Plekanec later scored a goal to register his 601st point. Montreal had a perfect weekend, beating the Sens on Sunday and the Ducks on Saturday afternoon. Drafted 71st overall by the Canadiens in 2001, Plekanec has five goals and 15 assists for a total of 20 points in 53 games played so far this season. In 974 games played in the NHL, the 35-year-old Czech forward has a total of 601 points. He also added 49 points in 87 playoff games. The Canadiens are currently sixth in the Atlantic division with a record of 22-25-8. They're playing their next game on Thursday against the Philadelphia Flyers.